D-Link has introduced their new Cloud Camera 5000 at CES this week, which provides a versatile surveillance solution for a home or small office. The Cloud Camera is equipped with pan/tilt capabilities, automatic day/night viewing, remote control, and a microSD slot for local recording if required. All adjustments to the camera can be made remotely and provide a view area of 340 degrees (170 degrees on each side). The Cloud Camera 5000 can either be set to stream clear live HD video footage at 720p high-definition of up to 30 fps or send the footage to the local microSD for viewing at a later time. 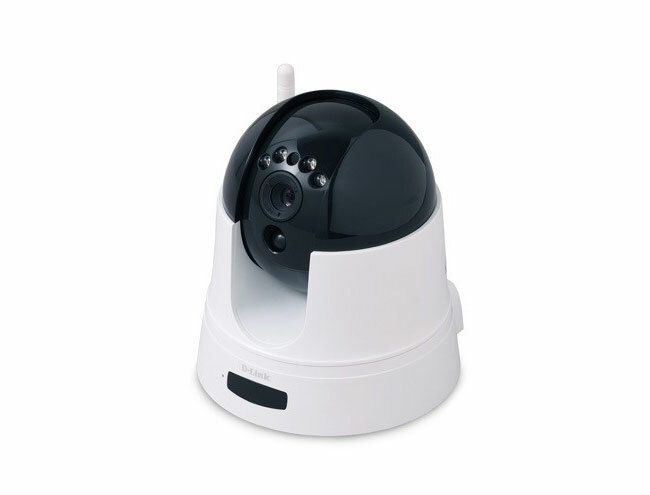 The D-Link Cloud Camera 5000 also offers enhanced security options with e-mail alerts for intrusions or disturbances. Together with the ability to integrate external devices to trigger recording, including doorbells, alarms, lighting, and motion sensors. The D-Link Cloud Router 5000 (DCS-5222L) Camera will be available in April. The Enhanced D-Link Wireless N Day/Night Home Network Camera (DCS-942L) is available now for $150.